A dyed-in-the-wool Midwesterner from Ohio, Sylvia began creating jewelry late in life as a third career. She began intensely studying jewelry-making techniques about fifteen years ago at local classes in California. Her studies continued at the Revere Academy in San Francisco, followed by a one-year apprenticeship with a classic goldsmith in Santa Cruz, California. During this time, she exhibited and sold her work at several galleries on the Monterey Peninsula. After moving to South Dakota, she spent a year as the head goldsmith in one of the local Black Hills Gold factories. As to her style, she is enamored by the qualities of metals and gemstones and prefers to design works highlighting the natural beauty of these materials. 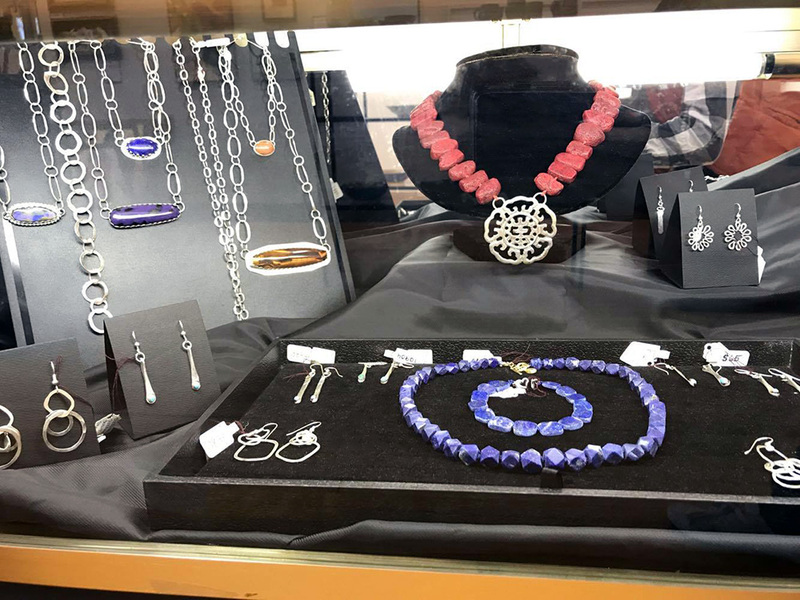 She is experienced in all aspects of jewelry making, including fabrication, forging, casting and stone setting (both bezel and prong settings). She just loves to make jewelry. This entry was posted	on Tuesday, October 3rd, 2017 at 11:35 am	and is filed under Art Gallery, Gallery Artists, News & Blog. You can follow any responses to this entry through the RSS 2.0 feed. Both comments and pings are currently closed.